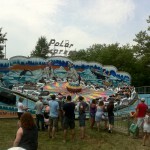 Thanks For A Great 164th Fair! We are known as the “The greatest fair in the Ottawa Valley since 1853.” It is an exciting five days with ample amount of activities such as: Beef Shows, Heavy & Light Horse Shows, 4-H & Interclub Shows, Swine & Lambs, many more Livestock events, Exhibits, Art, Domestic Science, Women’s Institute Displays, Floriculture, Fruit, Vegetables, Junior Classes, Needlework and so much more. Perhaps you enjoy the famous bacon on a bun, mouth watering candy apples, popcorn, fully serviced meal, or a splendid piece of fresh fudge. We have it all for you to experience at the fair! Our Grandstand Entertainment will be packed solid and we will be communicating all of the exciting details in the coming weeks! Throughout the weekend make sure to visit the Valley Entertainment showcasing some of the Ottawa Valley’s finest talent. Come and enjoy the fair! You will be sure to find something for everyone of all ages to enjoy a traditional country fair. The Renfrew fair board, staff and myself as President, would like to invite one and all, near and far to the 164th Renfrew Fair. The fair runs from Wednesday, September 5th until Sunday, September 8th. Carter Shows will be back with a full array of adult rides, thrill rides and a good selection of kiddie rides. They have some surprises in the midway also. The bingo tent will be back where people can sit out of the sun and play. Our local food vendors will have all their special foods. The beer tent will be back in the same location near the main stage, where you can sit and relax. We welcome families to come in during the day and relax. The Barnet Barn is a must see with all the different farm animals. The main stage has a great selection of entertainment – something for everyone! The demolition derby kicks off the fair on Wednesday night in front of the grandstand. The drivers put on a good show and put a lot of work into their cars. Come and cheer them on; it is a fun night for all ages. There are many exhibitors in the Armouries and the Exhibit Hall. It is worth a stroll through the buildings to see what is for sale and the great entries in crops and handicrafts. The maple syrup display is the largest in the Valley. Cattle shows are a main attraction with different breeds showing on different days. Thursday, Friday and Saturday showcases the local 4-H clubs. The beef, hog and lamb sale is on Saturday evening. The horse shows are great entertainment, from the large hitches to the minis, all decked out in their polished harness and wagons. The horse pull is on Sunday in the heavy horse ring and this year there will also be a pony pull. The light horse ring will be active during the week. 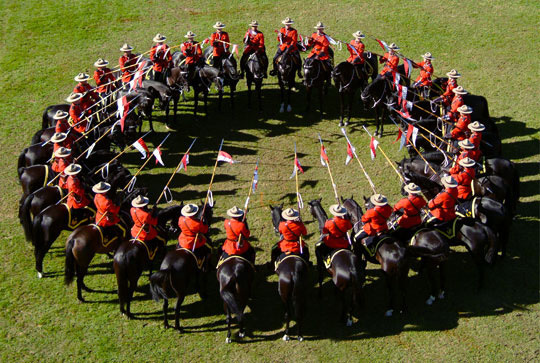 The highlight of the fair is on Sunday afternoon when the RCMP Musical Ride performs in front of the grandstand. Special thanks to our sponsors, exhibitors, volunteers and members of the fair board who help make the Renfrew Fair an annual successful event. After an awesome 163rd fair and with the celebration of Canada 150, we have moved forward to our 164th fair. On behalf of the Homecraft Division, I would like to welcome you to our fair. Shortly after the close of last year’s fair, the Directors started reviewing and updating the various categories for you to exhibit this year. A special Thank You to all the Directors and Volunteers for the many hours they contribute to our fair, their time is much appreciated. Each year it is a pleasure displaying the work of all our exhibitors, with their skills in quilting, floriculture, baking, hobbies, crafts, photography, woodworking, art, bottled goods, junior fair, school work, 4-H and agricultural products. We would like to thank the returning exhibitors and look forward to new exhibitors. Please take a few minutes to read through the prize book, check out anything new or any changes. There will be something for everyone. Come out and enjoy the sounds, sights and fun at the greatest fair in the Valley……………. Wednesday, January 16, 2019 7:30 p.m.